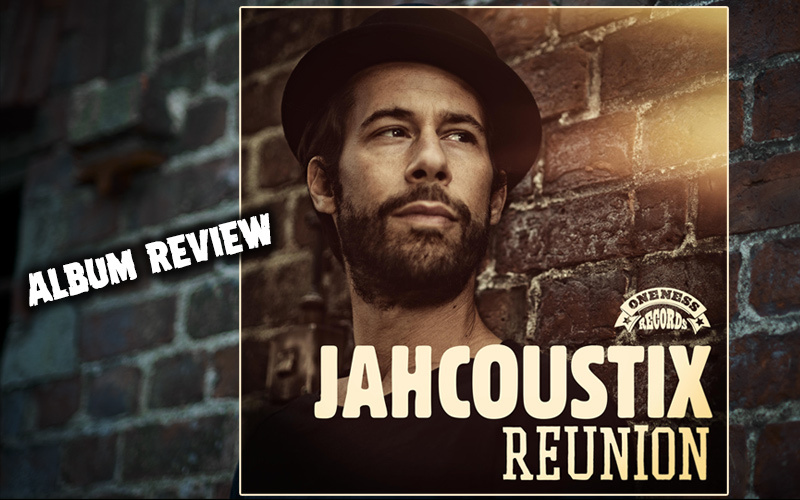 Merely a year after plunging into this adventure, Jahcoustix presents a new album called Reunion, a release that carries the secret of its swift creation in its title. Dominik Haas aka Jahcoustix indeed reunited with the people he took his first steps in Reggae music in Germany with during the early 2000's, namely Moritz van Korff and Umberto Echo, who were both part of the Dubious Neighbourhood releases Souljahstice (2003) and Grounded (2006), and who now form the backbone of Oneness Records from Munich. Together, the two masterminds dug in their treasure chests to come up with ten mostly unpublished instrumentals, some of which were created exclusively for the album. While tracks like the opener Simplicity or the touching Beyond Imagination breathe the warmth and originality of Jahcoustix' earlier publications, others take a more modern approach, such as Distant Relatives (which is a bit too "in-your-face" rhythm-wise for my liking) or Stronger, the first single release of the album, which features none less than "The Messenger" Luciano. More musical feeling carries the collaboration Thin Red Line which brings the pleasant voice of Toké as well as the Indonesian flavour of Ras Muhamad to the table. Another special treat is the title track Reunion made interesting by flute and dub elements, a combination with Senegalese singer Meta Dia. The fourth and last feature is the Cologne-based band-collective Memoria in Who Told You, a Rockers' style tune which however lacks a little finesse. Generally, there are few surprises, one of them being Live Your Dream. With bonds to Marley's Jamming, it tells us that "it takes hard work to change your inner scheme" and "it takes courage to take a decision", ending with an unexpected and interesting change in tempo. Tempo seems to have been the motto for Back Into The Light as well, which closes the album on an up-tempo note. Though not as remarkable as its predecessor Seriously Positive, Reunion is a solid production that knows to impress with the distincive voice of singer Jahcoustix, the clean, high-quality sound of its music and the well-conceived, topical lyrics that tell tales of love (as in Unconditional) self-reflection and a better future.